SUAA is a 501(c)(4) organization and the only advocacy organization that focuses solely on preserving pension and healthcare benefits for public university and community college employees — both active and retirees — their spouses and survivors, who will be or who are receiving benefits from the State Universities Retirement System (SURS). While advocacy-oriented, SUAA requires funding from individual stakeholders of SURS in order to fulfill its promise to be your voice in the state capitol. 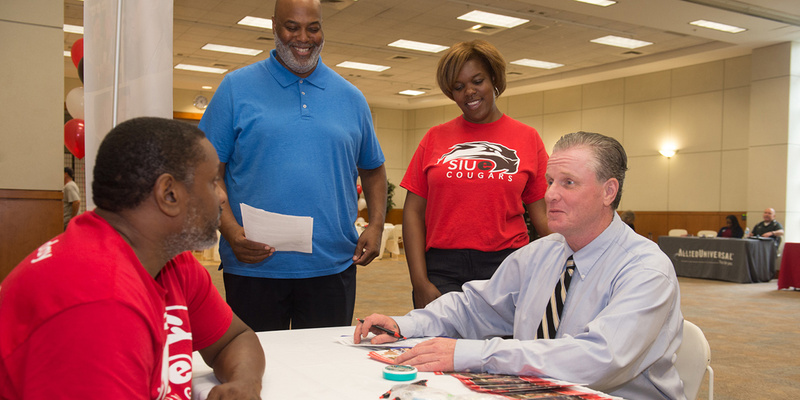 When you join SUAA, you join both the state organization and the local SUAA/SIUE chapter. provide continuous tracking of pension and healthcare benefit issues, state funding, and other related concerns. lobby and collaborate with other public retiree organizations and coalitions focusing on sound public pension policy, higher education, and state revenue reforms. allow direct involvement in the legislative process through coordination of a clear voice and visibility as a solid advocacy organization that protects pension and healthcare benefits of those enrolled in the State Universities Retirement System (SURS). assist in building a knowledge base to help members better understand how legislation can affect their benefits. demonstrate to the public sector, legislators and other policy makers that we are a united organization serious about protecting benefits. provide a communication network to members through newsletters, legislative bulletins, websites, workshops and meetings that inform and update on both local and state issues relative to pension and healthcare benefits. assist spouses and survivors by making sure they receive accurate information allowing them access to all benefits and services to which they are entitled. sponsor seminars on timely topics. provide regular communications and calls to action. provide opportunities to interact and build relationships with other SIUE members through local campus chapter activities. support chapter involvement at state-wide meetings.